The Galleria is the upper Midwest’s most uncommon shopping gallery offering exclusive fashion, home, beauty and dining moments. Located south of downtown Minneapolis in Edina, Minnesota. 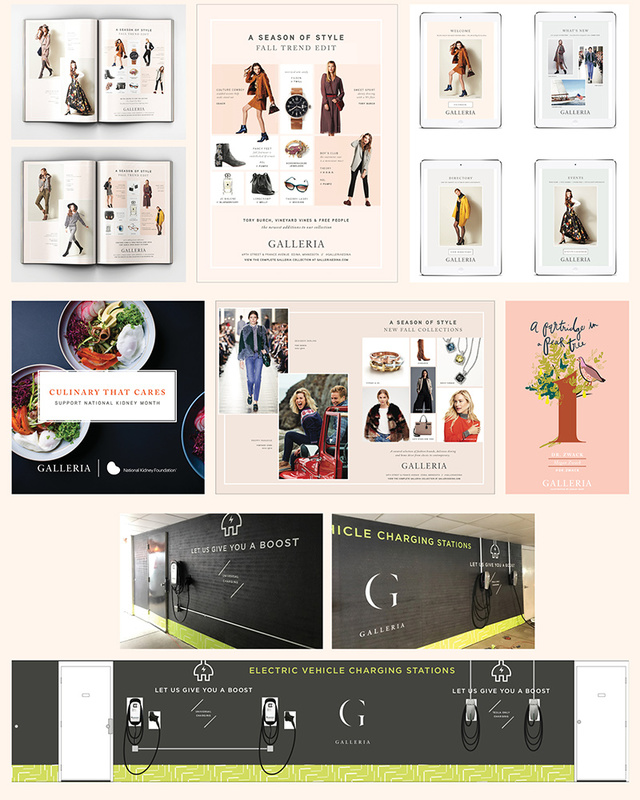 The brand for Galleria was already developed when we started working with them. We help provide ongoing marketing support ensuring quality & consistency. As The Galleria has evolved, so has the brand, and we maintain the brand standards throughout its growth through print advertising in local & national publications, billboards, digital advertising, leasing brochure, tenant handbooks, events & more.